The old real-estate adage “location, location, location” is still true, especially for luxury-home buyers. But because space can be tight in prime urban locations, they are looking for ways to make the most of things. Homes at the high end of the market, costing $4-million and up, are moving very well, says Paul Maranger, a senior vice-president of sales and broker with Sotheby’s International Realty Canada. But wealthy clients are moving away from mega-homes, says Mr. Maranger. Instead, they are focusing on smaller spaces, but that space needs to be more luxurious and in a better location. Among the features they are looking for are exercise pools, elevators and super high-end appliances, such as kitchen stoves. In addition, environmentally friendly features are of little interest. In fact, heavy users of electricity, such as in-floor radiant heating and heated driveways and walks, are popular. Here are furnishings that are trending at the top of the real-estate market. Motorized lap pools offer a clever way for homeowners to exercise without installing a full-sized pool. 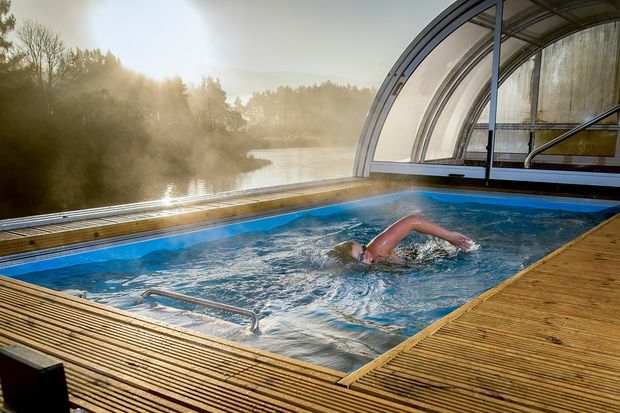 Those made by Endless Pools start at 2.1 by 3.6 metres and are customizable in 30-cm increments. They can be installed in basements and garages; outdoor models are heated for year-round use. A propeller system pushes a current of water wider and deeper than the swimmer’s stroke at variable speeds. These pools can be used for therapy or to challenge competitive athletes. An optional underwater treadmill has been a hit in recent years, says Endless Pools spokesman Daniel Fraley. One reason these pools are becoming more attractive to homeowners is because of their sophisticated air ventilation systems, Mr. Maranger says. 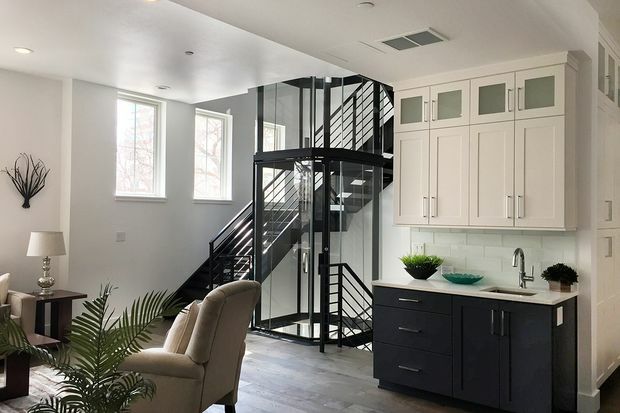 Elevators are pricey but they can let owners age in place, says Katrina Maheu, marketing director of Savaria Inc., an installer based in Brampton, Ont. A traditional elevator with a separate shaftway starts around $25,000, but costs vary considerably. The company’s newer, top-of-the-line Vuelift model, pictured, starts at $70,000 for two stops but doesn’t need significant construction to install. Mr. Maranger says buyers are increasingly looking for elevators, thinking longer term. “People are cognizant of elder parent-care issues,” he says. 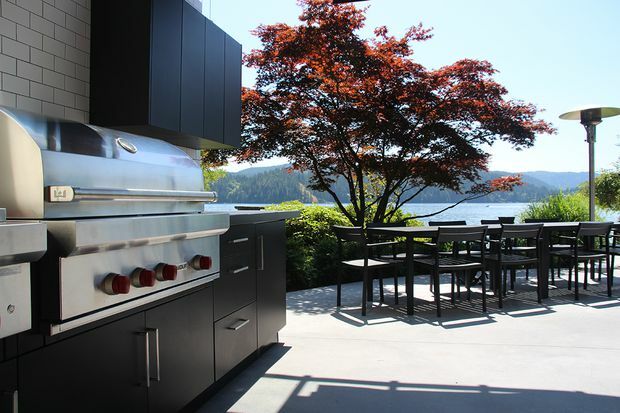 Elevators and high-end stoves are the basics of a luxury home, Mr. Vermast says. More common are stoves by Brigade and Wolf, the pair say. “That’s perceived to be a normal asset in a luxury home, said Mr. Vermast. Wealthier home buyers are also installing steam ovens. Sensors on the Wolf 30-inch E-series professional convection steam oven ($6,000), for example, will analyze the volume, shape and consistency of the food, adjusting time, temperature and humidity automatically. Closets are always a hot commodity, but custom rooms are having a moment, among them craft and gift-wrapping rooms, sophisticated laundry rooms with natural light, and even garages outfitted with high-grade commercial epoxy flooring, custom built-ins, carwash stations and dog baths, say Mr. Maranger and Mr. Vermast. Polina Savchenko, a design consultant at California Closets’s Toronto office, says a custom craft room could range from $600 to $1,400 per linear foot, with top-end designs featuring leather details, drawer organizers and premium doors. Prices vary considerably based on the finishes, lighting and accessories, she said. 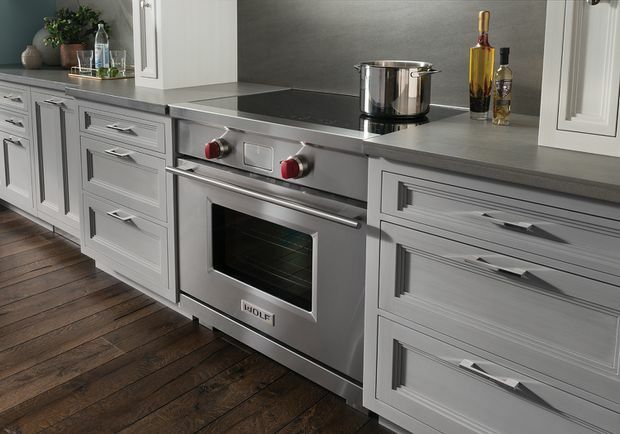 Among the limitless number of impressive features you can install in your kitchen is the Dacor WineStation. 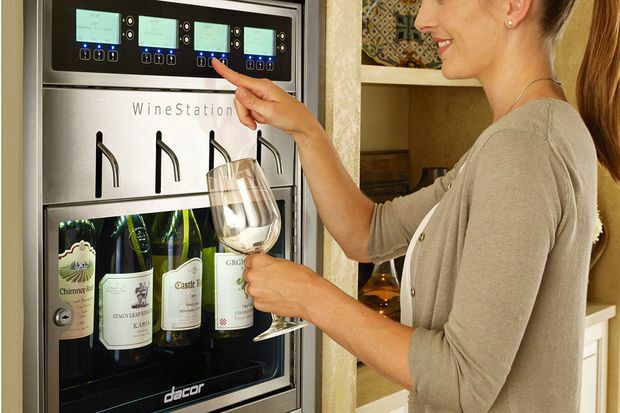 This temperature-controlled wine dispensing and preservation system lets you pour as little or as much wine as you’d like from up to four bottles. It can be placed on a counter or installed in a kitchen or any room in your home. It keeps wine fresh for up to 60 days. Mr. Maranger says he’s also seeing a move toward smaller wine cellars rather than large ones, as well as other ways to display your collection, such as wine towers and wine walls. Washrooms have joined kitchens in having showroom status in luxury homes. Among the trends are larger master baths as well as adjoining master baths with a shared shower, said Mr. Maranger. Buyers also want large windows, he said. Specialty toilets are another luxury feature making their way into this formerly functional space. 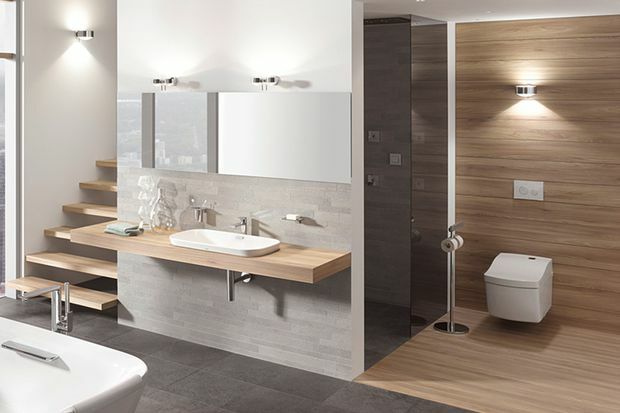 The Neorest AC model is the “most intelligent toilet” from the Japanese company Toto Ltd. It has a Tornado Flush system, adjustable heated seat, a UV-light cleaning system, as well as an air purifying system that mists the bowl with electrolyzed water. The bidet function offers an adjustable sprayer and oscillating and pulsing comfort washing. The toilet also comes with a remote control and auto lid open and close.